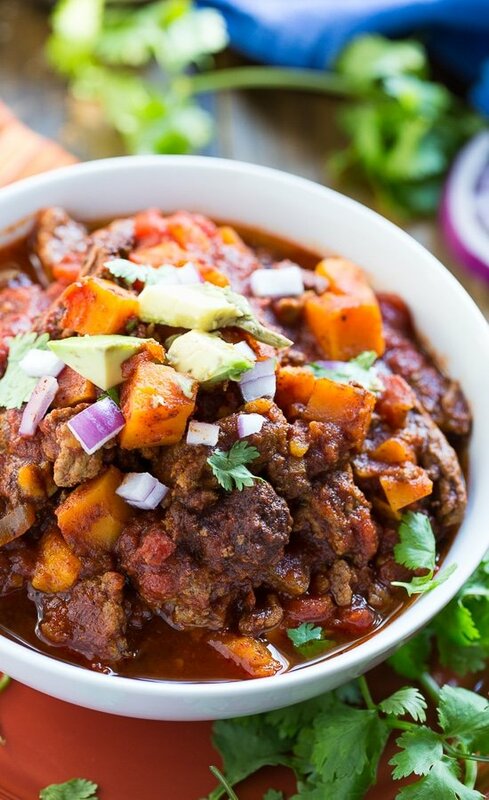 Just about nothing beats a bowl of chili on a cold day. 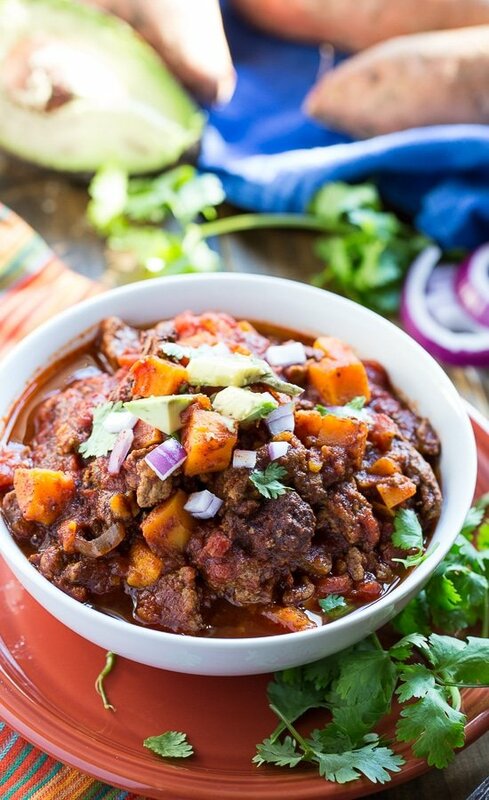 This Beef and Sweet Potato Chili is loaded with ground beef and tender chunks of sweet potato. 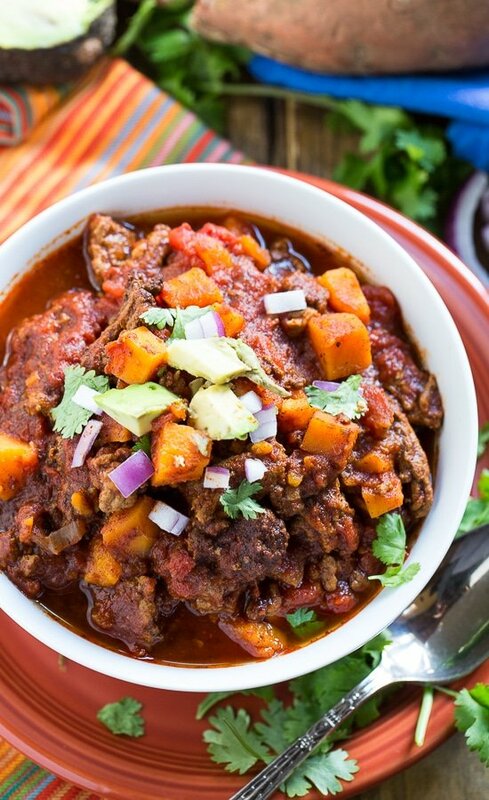 I’m a huge fan of sweet potatoes in chili. 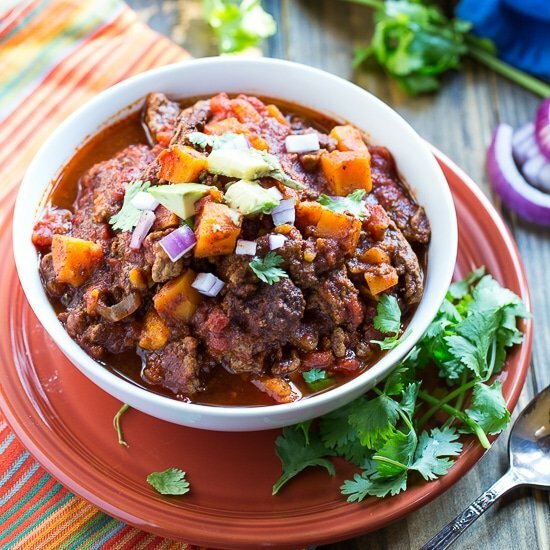 Not only does it add lots of good nutrition, but the sweetness tastes wonderful with all the spices a good pot of chili has. This one is spiced up with a hefty dose of chili powder, cumin, oregano, Italian seasoning, and red pepper flakes. The chili is started in a pan to brown the ground beef and soften the onion and garlic and then it is transferred to a crock pot to simmer away for hours and build lots of flavor. After hours of slow cooking, the flavors are wonderfully blended. It tastes even better the next day if you have any leftover. Sometimes I like to serve the leftovers over a baked potato. 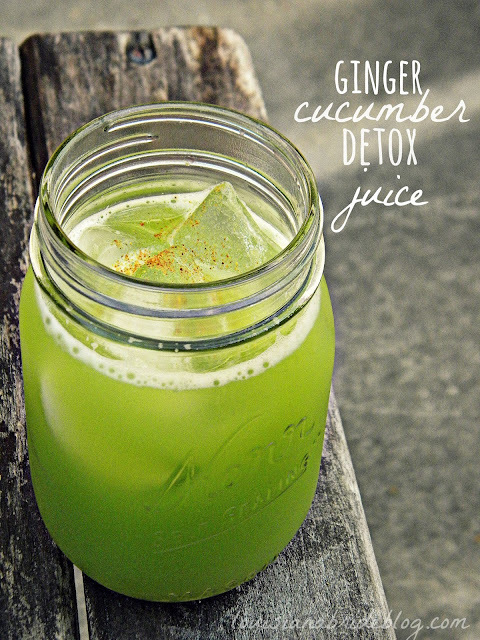 This is especially good if you have some leftovers, but no enough for a full meal. I wanted to keep this meal as healthy as possible so I only topped it with avocado, red onion, and cilantro. But if you want to load on the cheese and sour cream, all the better. 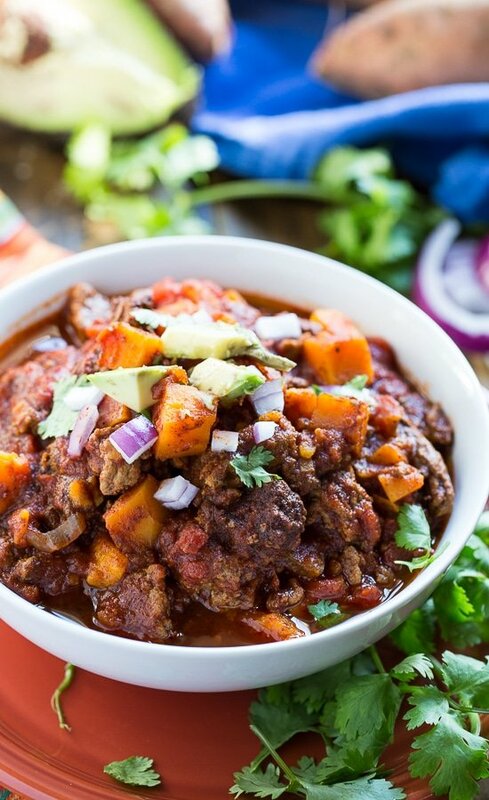 Thick, hearty, and spicy chili with a little sweetness from chunks of sweet potato – it is sure to be devoured by all. Lightly spray a large nonstick pan with cooking spray and place over medium-high heat. Add ground beef and crumble it with a wooden spoon while it cooks. If it releases a lot of liquid/ grease use a spoon to discard it. After beef has cooked part way, add the onion and garlic and continue to cook until beef is no longer pink. Add all spices to the pan and stir to coat the meat. Transfer meat mixture to a crockpot insert that has been lightly coated with cooking spray. 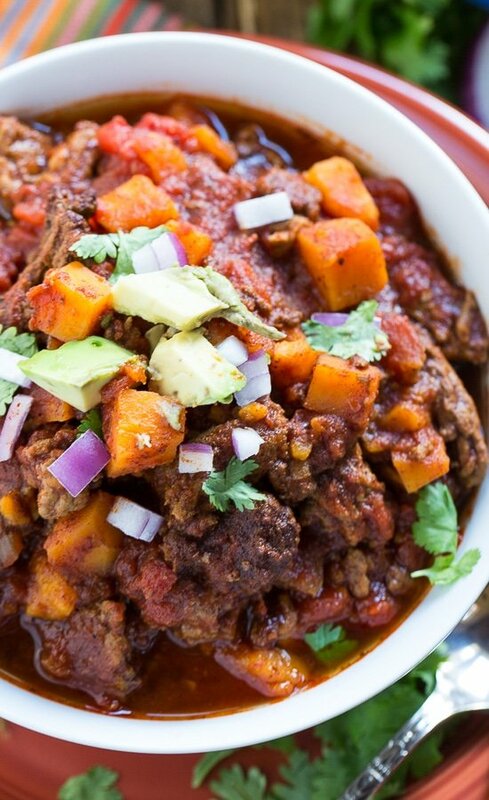 Add all tomatoes and the chopped sweet potato to the crock pot. Stir to mix everything. Place the lid on the crock pot and cook on LOW for 6 to 7 hours or HIGH for 4 to 5 hours.